Videoslots Casino is the world’s biggest online casino around. The casino was established in 2011 and is owned by Panda Media Ltd. The casino holds a dual license in Malta by the MGA, and also in the United Kingdom by the UKGC. Videoslots Casino has won multiple awards in the online casino industry, and has an impressive selection of over 2400 casino games from 75 casino game providers. Some of the top casino software providers include: NetEnt, Microgaming, Quickspin, ELK, NYX, Thunderkick, Big Time Gaming, Yggdrasil Gaming, and more. Videoslots Casino is mobile enabled, so you can literally play on-the-go, whether you have your mobile phone, tablet, or laptop with you. Why do we love Videoslots Casino? The casino has a massive selection of over 2400 games to play. Superb promotional offers including: Welcome Bonuses, Weekend Boosters, Weekly Casino Races, and Battle of Slots tournaments. Fast withdrawal times, within 0 – 24 hours. Has a unique ‘My RTP’ function where players can analyze their gameplay after they end the game. New players residing in the ROW are eligible to receive a 100% bonus up to €/$200 + €/$10 Extra Cash* and 11 Wager-free Welcome Spins on your first deposit. Make a minimum deposit of €/$10, 100Kr to claim this offer. *Only new players from select countries will be credited with a €/$10 Extra Cash: United Kingdom, Austria, Bulgaria, Canada, Croatia, Cyprus, Czech Republic, Lithuania, Luxembourg, Malta, Netherlands, Norway, Poland, Portugal, Romania, Estonia, Finland, France, Germany, Greece, Hungary, Slovakia, Slovenia, Spain, Sweden, Switzerland, Iceland, Ireland, Italy, Latvia, and Liechtenstein. New players residing in the UK are eligible to receive a 100% bonus up to £200 + £10 Extra Cash* & 11 Wager-free Welcome Spins on your first deposit. *Only new players from select countries will be credited with a £10 Extra Cash: United Kingdom, Austria, Bulgaria, Canada, Croatia, Cyprus, Czech Republic, Lithuania, Luxembourg, Malta, Netherlands, Norway, Poland, Portugal, Romania, Estonia, Finland, France, Germany, Greece, Hungary, Slovakia, Slovenia, Spain, Sweden, Switzerland, Iceland, Ireland, Italy, Latvia, and Liechtenstein. New players will receive 11 welcome spins on a random game after making their first deposit at Videoslots. New players have 7 days to activate the bonus, once activated, the welcome spins must be used within 24 hours. 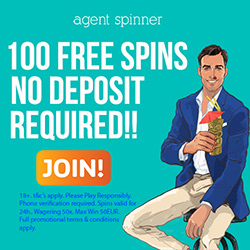 Welcome spins winnings carry no wagering requirements and no maximum cashout. New players must be 18 or over to play. If you reside in a country where the minimum age is 21, then you must comply with the laws of that country. The minimum deposit is €/$/£10 or equivalent to receive the first deposit bonus. The maximum is up to €/$/£200. The wagering requirement for this welcome bonus is 20x (bonus) before any winnings can be cashed out. New players will receive €/$/£10 extra cash when they make their first minimum deposit of €/$/£10 or equivalent. The wagering requirement for this bonus is 25x before any winnings can be cashed out. The deposit options at Videoslots Casino are: Visa, MasterCard, Skrill, Neteller, EcoPayz, Trustly, Paysafecard, Neosurf, Direct Bank e-Payments, Instant Bank, Entropay, and SIRU Mobile. Card withdrawals cannot be withdrawn to the following countries: USA, Hong Kong, Japan, Korea, Malaysia, India, Indonesia, and Singapore. You can deposit using the following currencies: USD, CAD, EUR, GBP, SEK, and NOK. English, German, Russian, Swedish, Norwegian, and Finnish. The customer support team is available via Live Chat, Email, or Telephone.